This month, Verizon announced its intention to increase its use of edge computing technology, having tested edge functions in its 5G network in Houston resulting in massively decreased network latency. This move is another example of how new technologies will enable and extend digital transformation projects at the edge, and this is only the beginning. In light of this and an upcoming flurry of 5G announcements and projects, how exactly will edge computing tie into this 5G future? What are the benefits and when can we expected to see these technologies adopted on a wider scale? We spoke with Jason Andersen, VP of business line management at Stratus Technologies, to discuss the need for 5G to be paired with edge computing for the technology to best succeed. BN: How will edge computing enable 5G? What benefits does edge bring to the challenges of the roll out? JA: 5G is going to be a huge game changer when it comes to enabling new levels of connectivity and computing in places like alternative energy, oil pipelines and transportation. And edge computing is a necessary intersection there to truly extend the value of 5G in three ways. First, edge computing devices will provide connectivity and protection for new and existing edge devices. Second, even though 5G will provide the edge with far better connectivity and lower latency to cloud based applications, there is still the cost of processing and storing the data. A hybrid edge compute/5G solution will mitigate these costs. Lastly, 5G opens the aperture for more applications to run at the edge such as analytics, cybersecurity or compliance/regulatory apps. Edge computing is where those new applications can run and be remotely managed with resiliency and integrity. BN: Are there any industries that you think will benefit particularly from these technologies? JA: Absolutely -- in fact, Verizon listed industrial automation as a key use case that could benefit most from the super-fact speeds and low latency provided by the combination of edge and 5G, and I agree. In my mind, anything with a supply chain could benefit. For example, one industry in particular that will flourish from these technologies is food and beverage where monitoring and optimizing temperature and other environmental controls is a huge success factor. Gathering rich data from the farm or refrigerated trucks via 5G and sending it to analytics engines at the edge allows for real-time, automated controls that ensure the quality of perishable foods and reduce product loss. The same edge platforms can also aggregate and analyze data over time, revealing insights to drive continuous improvement. What's more, in the oil and gas industry, edge computing can be deployed at remote pump sites and connected to centralized automation systems through 5G networks. For example, monitoring pipelines to detect and communicate data anomalies in real time can help automation control systems respond rapidly to address potential issues. While many monitoring sites have some form of limited connectivity, they cannot accommodate the large volume of rich data that 5G can handle so edge can help with these challenges. 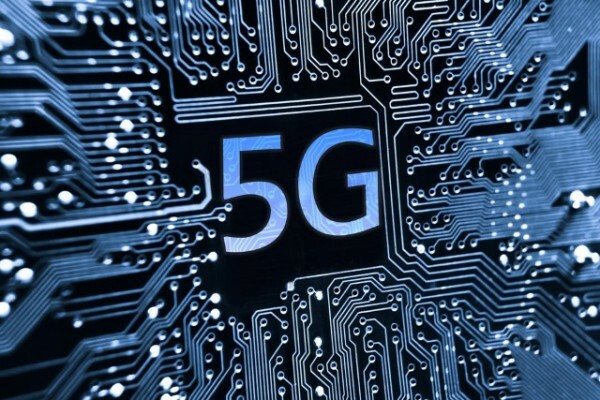 BN: How will the combination of 5G and edge computing affect things like real-time machine control systems and autonomous vehicles? JA: At this point, real-time remote control is not happening much at edge sites, rather the majority of the remote activity is basic monitoring. However, new hybrid applications that 5G is targeting have both edge and cloud components -- the edge part needs to have the capacity to handle the real-time controls but it will still need the peripheral information from the cloud. Autonomous vehicles are a great example of this because the edge’s real-time control allows the vehicle to avoid pedestrians, while plotting the best route to avoid traffic comes from the cloud. BN: When can we expect to see these technologies widely adopted? JA: There is already demand for private wireless networks at the far edge -- and vendors are providing it ad hoc today. But while this is not quite mainstream yet, I anticipate those sites will move to 5G with edge implementation in the next 3-5 years depending on other elements of edge ecosystems that also are evolving at the same time.